Explore the underwater world of Newfoundland’s local sea creatures hands on in the Portugal Cove-St. Philip’s Library! 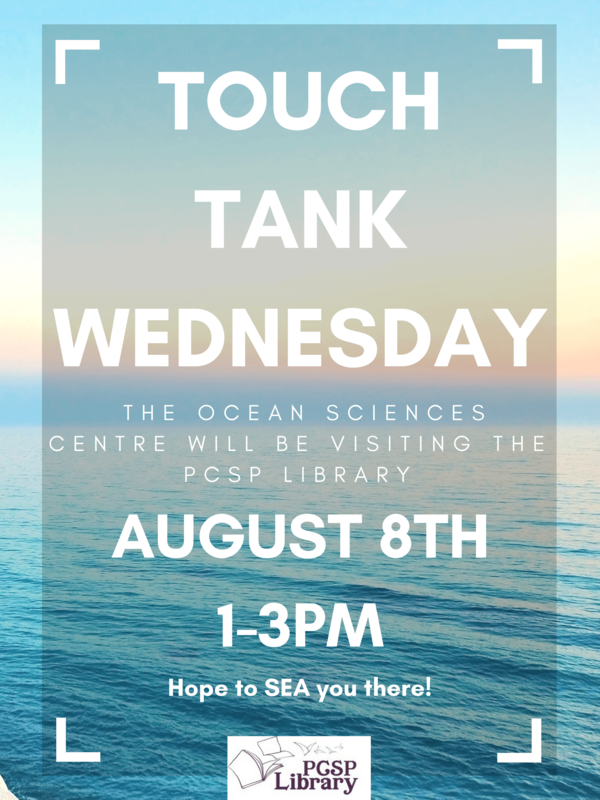 On Wednesday, August 8th from 1:00-3:00pm, the Ocean Sciences Centre will be bringing their touch tank to the library for all visitors to enjoy. Entry to this event is free for those with a PCSP Library membership. If you do not have a membership yet, visit the Library Membership page for details. For further information contact our Librarian, Kailey Cahill-Meeker at [email protected] or by calling 709-895-8000 x226.